RAILROAD.NET • View topic - last rs-1 unit? Well if only that engine had a savior! I'm afraid it's living on borrowed time. And I'd also like to say one more thing... I implore the individual who took the numberboard to do the right thing and return it to it's rightful owner. And I'll explain why... I'm a guy who absolutely loves trains and I'm not ashamed to say that. After all isn't that why we're all on this site? We're here because we all share a love of trains. Whether we work in the business or are just a buff we all share that same passion. Now myself, in my passion, I tend to sometimes get a little overboard. (Just ask my wife and son) I might ask one too many questions or accidentally say something I shouldn't. That having been said... it pains me too, to see the once grand 240 rusting away like scrap metal, and who wouldn't want to get a "piece" of that engine before it's gone forever. 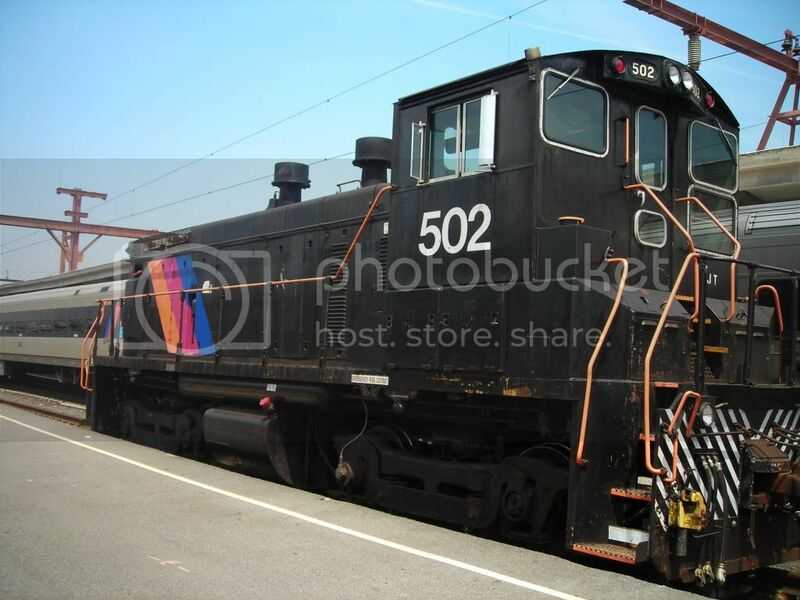 (As I don't see a restoration anytime soon) However it's just wrong to just take that numberboard and because of things like this railfans get a bad name. Now If I had $250,000 that engine would be operating including it's steam generator. (I'm pretty sure those suzy-Q rs-1's had steam generators for the stillwell passenger cars they pulled) And yes I'm assuming 250K would repair it, someone can correct me.